Staff scheduling, technician intervention schedule, medical planning, training schedule, hourly staffing, Excel activity planning, holiday planning, etc. Planning management is an essential element in the organization and optimization of a company's productivity. 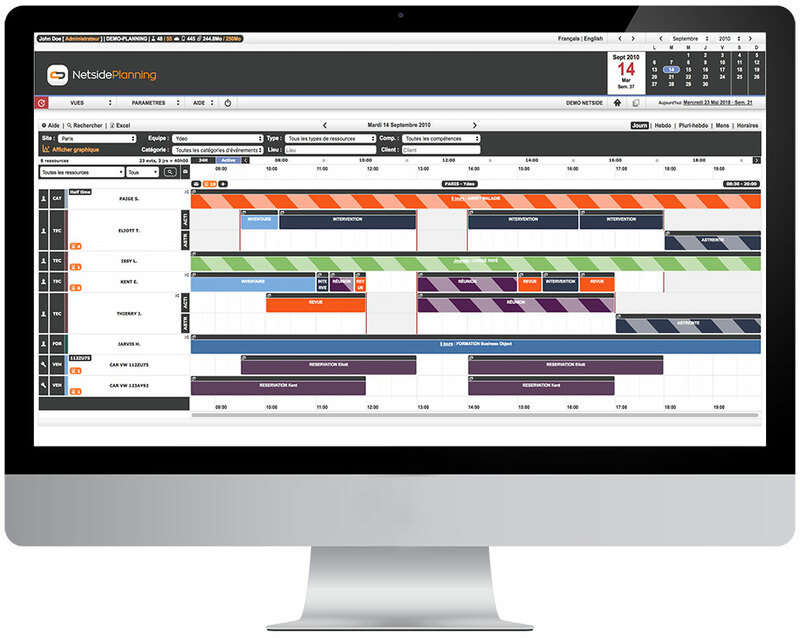 When designing our planning software, we had to deal with a multitude of different activities and planning constraints for each of our clients. Most of our customers are looking for the ease of use and customization of a schedule in Excel without its problems of simultaneous access and limited sharing. With Netside Planning, forget software designed only for computer engineers. Find the simplicity and speed of an Excel schedule with all the possibilities offered by a shared agenda accessible directly via the Internet. You will find on this page different examples of schedules for different trades and activities.